Log cabin style rooms situated on the banks of a river. Rooms are all en suite and lead onto a deck overlooking the river. The communal lounge dining area has a large open fire, wood burning oven and fully equipped kitchen. 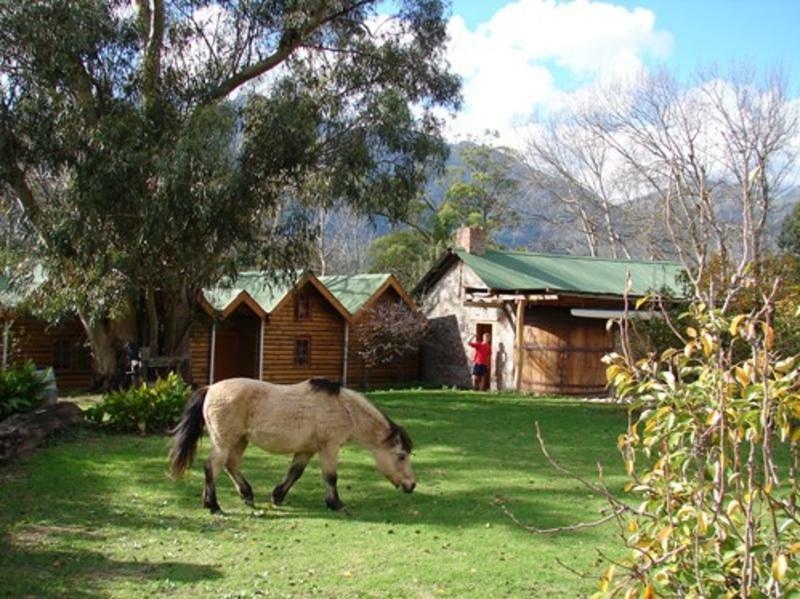 Situated amongst the wine farms, within easy walking distance of world famous restaurants, museums and galleries. 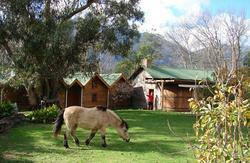 Surrounded by mountains for hiking, mountain biking, trout fishing, abseiling or just chill and sip wine by the pool. Close drive to shark diving, surfing, whale watching, and Cape Town make it an ideal base to see the Winelands. At the post office in the centre of Franschhoek, turn right into Resevoir St, first right into Dirkie Uys , and first left into Daniel Hugo Rd. After 800m cross the bridge and turn right before the security gate. We are 200m on the right next to the river. Or phone from Stellenbosch and we will arrange for collection.